The Global Networking Council, an online radio show hosted by Rob Brown and home of some of the world's leading writers, speakers, and leaders, interview online adevertising expert, Vito Glazers on his views of philanthropy and the value of service. 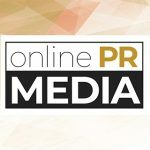 Online PR News – 14-November-2012 – Chicago, IL – The Global Networking Council, an online radio show hosted by Rob Brown and home of some of the world's leading writers, speakers, leaders, facilitators and thinkers on networking, influence and communication, just had big ratings shake up in their latest CEO Interview. The interview titled, "Networking Insights From a Multi Millionaire Philanthropist" went into a download frenzy when host Rob Brown announced on his Twitter that the elusive online advertising expert Vito Glazers would be appearing on the show and donating insight and advice that will be featured in his first and anticipated autobiography/how-to book about going from a college drop out to self made internet millionaire and public speaker. The interview can be streamed by visiting http://www.globalnetworkingcouncil.com/interviews/vito-glazers/networking-insights-from-a-multi-millionaire-philanthropist.html where you can also find interviews with top business executives, experts and thought leaders from around the entire world organized in categories and topics. The interview focused on Vito's view on philanthropy, including the power of giving away 10 percent of your wealth. His core inspiration is faith in the universe, as well as faith in value and service. He expresses unique beliefs about how sharing ideas and serving other people is the main purpose of the human race. Another noteworthy quote from the interview includes the 27 year old CEO's view on work ethic. When asked his motto he replies, "Measure twice, cut once." He elaborates engaging listeners to take accountability for themselves and measure, check your work and execute to reach prosperity. Like and Follow Vito Glazers on Facebook and Twitter, facebook.com/vitoglazersCEO and twitter.com/vitoglazersCEO where the young CEO delivers educational content and success tips for leaders of all ages and backgrounds. Follow host Rob Brown on Twitter http://www.twitter.com/therobbrown for insightful business advice from the world-leading networking authority.